William “Bill” Smith has been the Kansas AMBER Alert coordinator since 2013. 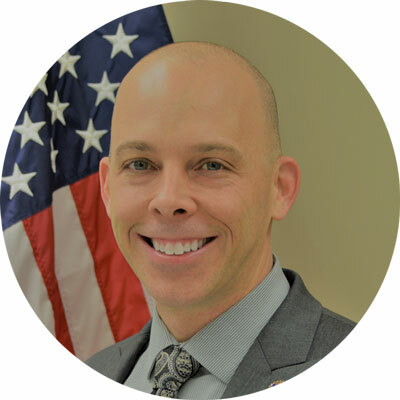 He is the Special Agent in Charge at the Kansas Bureau of Investigation (KBI), managing field investigations spanning 36 counties in Northeast Kansas. Smith has been with KBI since 2001, and also served with the Dallas Police Department. His KBI duties have included Special Operations, Cyber Crimes, and Field Investigations. Smith graduated from Kansas State University and is an alumnus of the Northwestern University School of Police Staff and Command. He holds a Lean Six Sigma certification in Performance and Process Improvement from the University of Kansas. The KBI started the Kansas AMBER Alert program in 2002 and the blueprint for success has steadily evolved. The Kansas program is unique in how it harnesses available technology. We focus on using a robust, flexible and mobile-friendly system for the AMBER Alert. The Kansas Information Consortium (KIC) developed a custom-built program that allows us to rapidly load important information and pictures from any internet capable device anywhere. This allows us to swiftly deliver the alert to the media and public. During a child abduction, minutes matter and we seek to save them by using technology, strong executive leadership, continuous process improvement and resilient partnerships. Leadership is the backbone in the collaborative success between law enforcement, media, technical partners, advocacy groups and citizens. KBI Director Kirk Thompson and Kansas Attorney General Derek Schmidt spearhead an executive committee that facilitates the success of the Kansas AMBER Alert Program. We continually implement changes to improve each AMBER Alert activation and our training by measuring and mapping everything involved in the alert. Our formalized evaluation strategy increases speed, eliminates waste, reduces error and cultivates efficiency. Partnerships with all stakeholders are key to the program’s success. From the patrol officer to the IT professional, thoughtful engagements and training increases their response, participation and assistance. This approach leads to better outcomes when it counts. When the call comes in about an abducted child, I know KBI special agents and our AMBER Alert program can make the difference in saving a child’s life. It is very motivating, emotionally intense and yet empowering to feel the responsibility to act decisively and concretely during a chaotic event, to striving to achieve a positive outcome. The number one challenge facing all AMBER Alert programs is the rapid evolution of how the public is receiving media and messages. Looking back sixteen years to 2002, we were using flip phones and no one used text messages. Now we carry computers in our pockets with amazing capabilities. We need to prepare for where technology and communication are headed in the next 16 years and decide where to invest in order to move the program in a similar direction. I would like to see the Department of Justice AMBER Alert initiative evolve nationally in new ways to broaden and deepen support for the states. A properly-funded national initiative could build a “plug-and-play” infrastructure for all programs. A nationwide program could evolve far more rapidly than 50-plus separate programs. In 2016, a local Police Department contacted KBI and requested an AMBER Alert. They shared that two children were removed from school by their father. The children had been in the custody of their mother, and the father was reported to not have custody. Prior to that day, the father allegedly made a series of very threatening statements to the mother about harming the children. This combination of facts led KBI to approve and launch an AMBER Alert. KBI and other law enforcement agencies moved swiftly to locate the children. The alert was launched 31 minutes after the request, and 16 minutes later the father and children were located safely. This alert was memorable because of the speed of the request and subsequent speed of the AMBER Alert and investigative response. Everything I have seen and done in the last five years as an AMBER Alert Coordinator has strengthened my commitment to children. I know timely actions of law enforcement, media, technical partners, advocacy groups, coordinators and citizens can make the difference-–and the AMBER Alert leads from the front. Be introspective. Learn about everything that occurs within your realm of control as it relates to AMBER Alert. Understand how to continuously evolve. Be a statesperson, and build meaningful bridges with all partners because an AMBER Alert cannot succeed if the message does not proliferate through all technology and media allies.